Meet the finalists for the 2019 Corpsmember of the Year Award! We are inspired by all of these outstanding candidates; it will be an incredibly difficult task to only pick five winners. The winners will be announced in December and will be recognized at Resilience – The Corps Network’s 2019 National Conference, taking place Feb. 10 – 13, 2019 in Washington, DC. 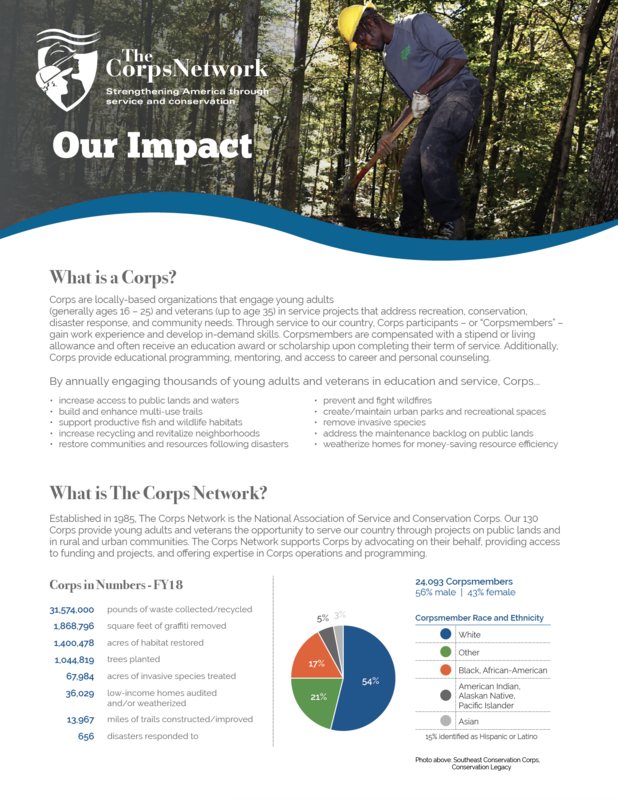 Corpsmember stories are arranged in alphabetical order by Corps name. 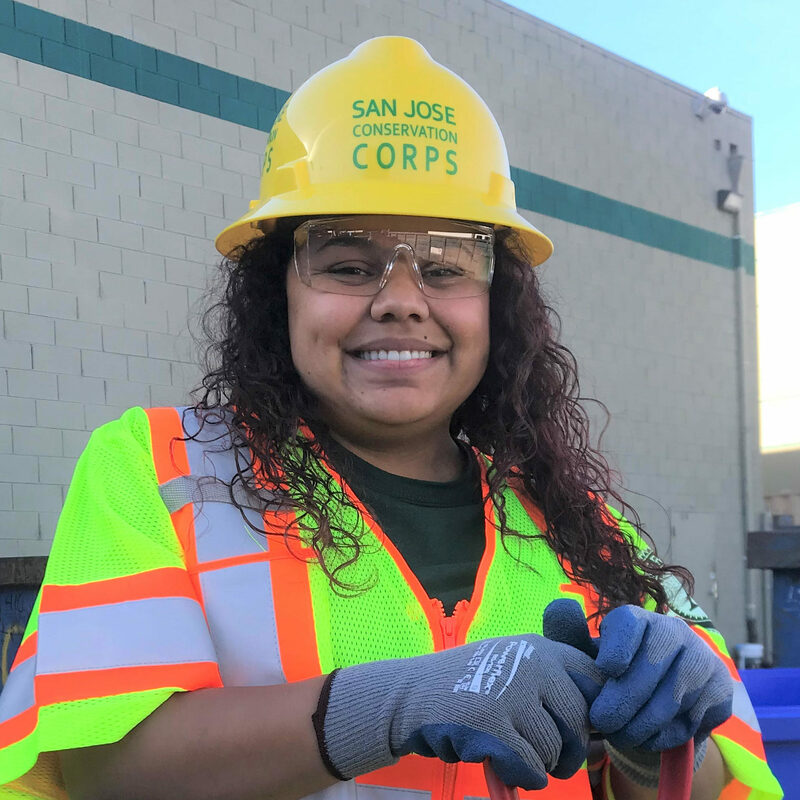 Before joining the California Conservation Corps (CCC), Jessica Wermes was trying to find a positive path forward. She had experienced a challenging adolescence, but knew she wanted to overcome past setbacks by dedicating her life to service. Jessica embraced the numerous opportunities the Corps offered and achieved a plethora of accomplishments. She earned three AmeriCorps Education Award Program scholarships, a Class B Commercial California Driver License with Passenger Endorsements, completed the California Conservation Corps Leadership training, and received a 40-hour certification in Hazardous Waste Operations and Emergency Response. Jessica was promoted twice within 20 months to become a Crew Leader II, the highest-ranking Corpsmember at a center. Jessica volunteers her time to help make Placer Center (in Auburn, CA) a better community and continuously takes on leadership roles on the Corpsmember Advisory Board. 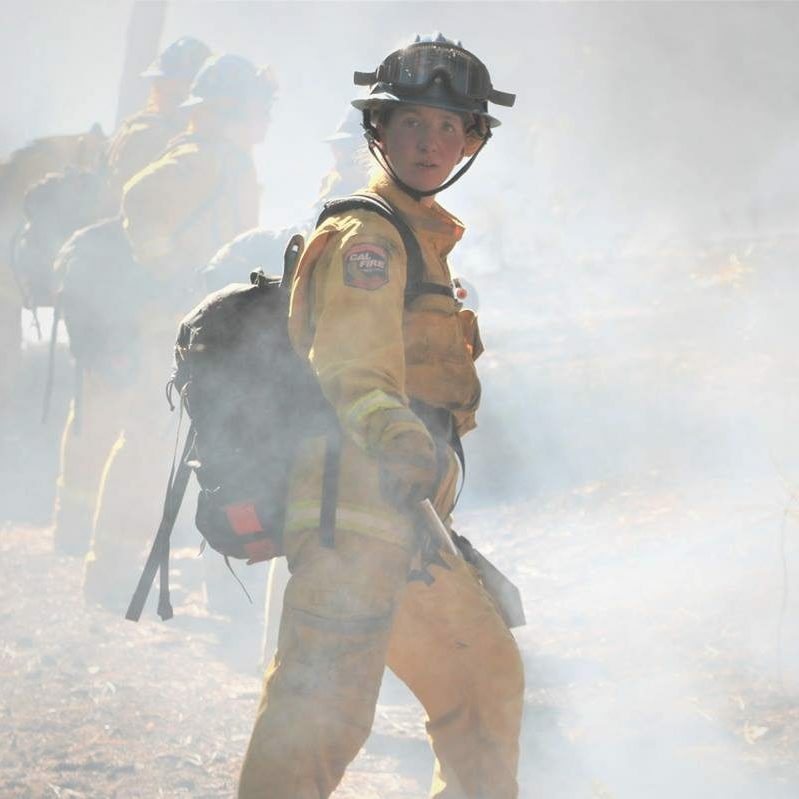 She was also selected to complete the specialized Backcountry Trails Program (BCTP), an AmeriCorps program through California Volunteers, and has qualified as a lead firefighter to work alongside CalFire during the 2017 fire season. Once she is done with her time in the CCC, Jessica hopes to travel and eventually continue working on public lands. 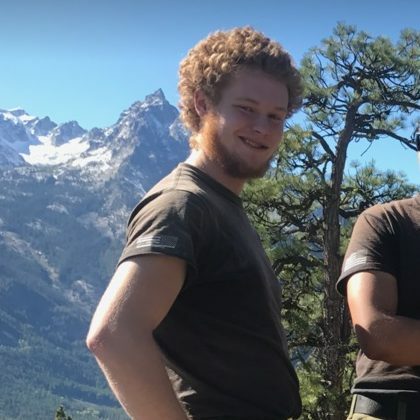 Hunter entered the world of Conservation Corps after he started learning more about how much overdue work is needed on private and public lands across the country. He decided to be part of the solution to improve these lands and discovered the opportunity to do so through Climb CDC. Hunter accomplished many goals through hard work and dedication and always had a positive attitude during his time with the Corps. Since completing a nine-month term as a “GulfCorps” member in collaboration with The Nature Conservancy, he was promoted to be a Crew Leader. Hunter’s long-term goal is to become a wildland firefighter and eventually a park ranger. As he says, his vision is to live out his life in an A-frame cabin, surrounded by the forest he loves. “If we don’t change how we live, there will truly be no natural wonders left for generations to come,” said Hunter. “The future I now look at is rather bright rather than bleak. Through volunteering with Fresno EOC Local Conservation Corps (LCC) monthly food distributions, Nestor learned about the opportunities the organization had to offer. Seeing his dedication, the Corps encouraged him to apply to become a Corpsmember. Being a Corpsmember enabled Nestor to build self-confidence and become a first-generation high school graduate. He also built his résumé with certifications in chainsaw operation, aquatic restoration (Waders in the Water), forklift operation, and CPR/First Aid. Primarily through his work at Sequoia-Kings Canyon National Park, Nestor has also qualified for the Public Lands Corps non-competitive hiring authority. With the assistance of his AmeriCorps Education Awards, Nestor currently attends Fresno City College. With his remaining Education Award funds, he plans to pay for the Fire Academy and eventually go into wildland firefighting. Justin Baker was working a retail job, feeling stagnant and unhappy. He knew he needed a change. When he discovered the opportunity to serve as an AmeriCorps member with Green City Force, he jumped at the opportunity. As a Corpsmember, Justin focused on making sure projects got finished to the end. Though he comes from Staten Island – the farthest borough in New York City, he has the most service hours and has achieved one of the highest ranks in his cohort. 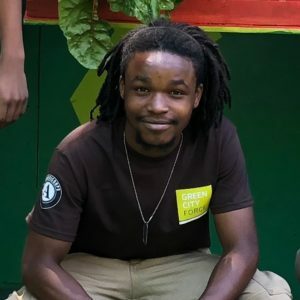 During his term with GCF, Justin has primarily participated in the Corps’ Farms at NYCHA program, through which Corpsmembers tend crops and provide food education on New York City Housing Authority Properties. Since he started in May of this year, Justin has been one of the most reliable and passionate members of his team, helping lead them in educating hundreds of residents and schoolchildren, engaging thousands of farm visitors and dozens of volunteers, and distributing over 22,000 pounds of organic produce to families in need. GCF staff rely on Justin’s ability to – with great enthusiasm and seriousness – educate all ages, from children, to young adults, to parents and seniors. In the future, he hopes to continue engaging in community-building activities. Thyreicia Simtustus first joined Heart of Oregon Corps after her Junior year of high school. She was interested in being outside and on a crew. 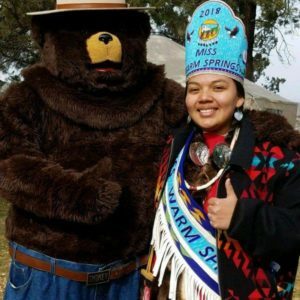 She is now completing her third AmeriCorps term across two programs at Heart of Oregon: she has served more than 2,100 hours on public lands and has served outside in collaboration with The Confederated Tribes of Warm Springs. For the last year and a half, Thyreicia has participated in the Corps while also attending college, commuting over two hours a day roundtrip to do so. Thyreicia has participated in a range of projects, from planting trees and removing invasive species, to improving recreation resources and managing wildfire fuels. She is known by her Corps to patiently help new Corpsmembers, taking extra care to help some of her peers who experience disabilities. She also openly shares about her indigenous culture and is proud to be a role model, especially to Native American girls. Serving with Heart of Oregon Corps has completely changed Thyreicia’s career. Originally, she planned to have a career in medicine, but she has now discovered how working with the Forest Service can help her get closer to her true dream of becoming a pilot. She recently completed a job shadow with the Forest Service Air Center and had the opportunity to learn about the dispatching system for smokejumpers. Thyreicia currently serves as “Miss Warm Springs” on behalf of her tribe and is active in tribal community service. 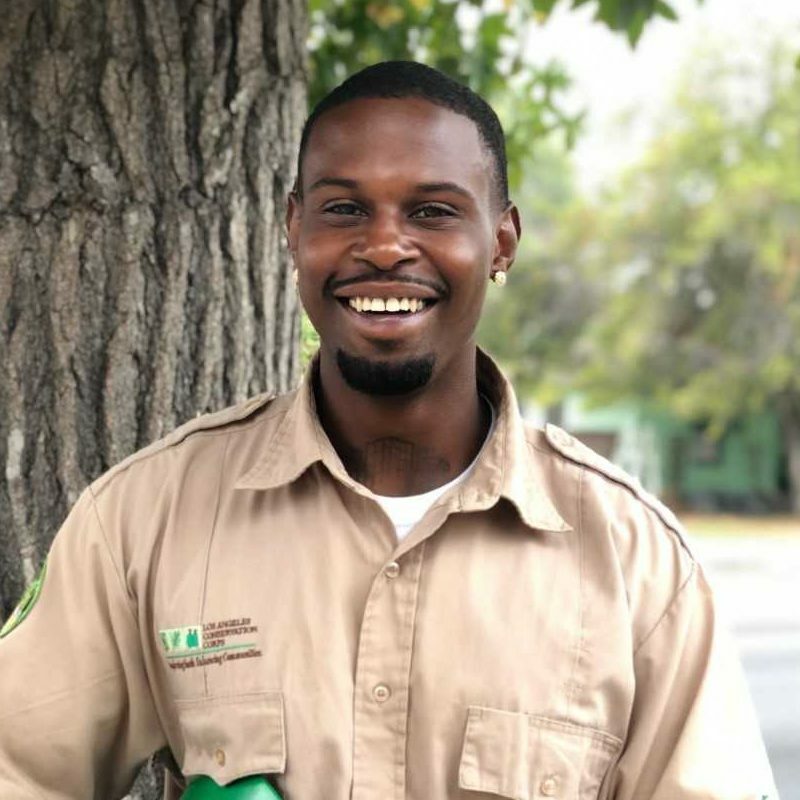 Damontre didn’t waste any time when he started with Los Angeles Conservation Corps in January 2018. He participated in every training and certification opportunity, earning his First Aid/CPR, OSHA, and forklift certifications, as well as his driver’s license. Due to his hard work, Damontre was recently promoted to be a Corpsmember driver, a role that requires a high level of leadership among his peers. 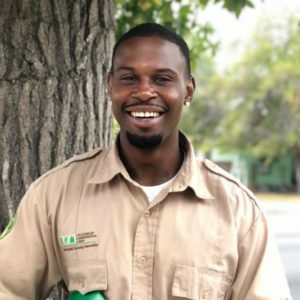 He currently serves with the City Plants project, driving across LA County every day to deliver free trees to residents that requested them. He previously served with the Mayor’s Million Trees Program, planting over 750 trees across LA County. Damontre’s proudest accomplishment, however, is knowing that he has made a positive impact in his community. His goal is to earn an AmeriCorps award and enroll in Los Angeles Trade Tech community college. Jasmine Poole completed two AmeriCorps terms through the Opportunity Youth Service Initiative and now serves as a “GulfCorps” crew member. Growing up in a city, Jasmine had few opportunities to experience nature. However, she has embraced the work of managing public lands and enhancing the environment and has taken full advantage of the trainings LVI offers. 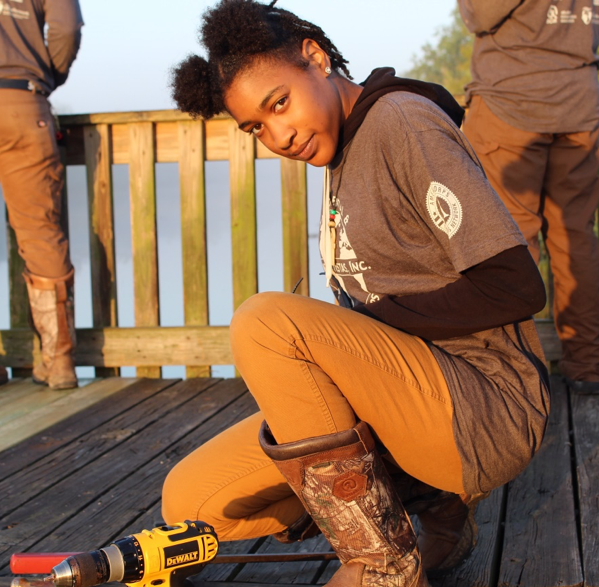 Since starting her service in March 2017, Jasmine has helped clean up an EPA brownfields site; conducted a plastics and microplastics survey at Elmer’s Island Wildlife Refuge; cleaned and preserved historic grave markers at Chalmette National Cemetery, and participated in numerous community events. Jasmine became the first and only woman to complete a GulfCorps service term with Limitless Vistas. Upon completing her second GulfCorps term, Jasmine plans to use her AmeriCorps Education Award to pursue a bachelor’s degree in psychology and minor in business management. When Dolly was hired for the Montana Conservation Corps’ Youth Conservation Corps, she was just a high school graduate looking for a summer job. Coming from a ranching community, Dolly was initially apprehensive about serving on projects with the U.S. Forest Service (USFS); ranchers and federal resource managers have historically not always agreed on land use practices. Through her summer building fences and trails with MCC, however, Dolly quickly grew to respect and enjoy the work of the USFS. Dolly is a very hard worker and a natural leader. Just a few weeks into the program, she was asked to step up and help co-lead the crew. With her problem-solving abilities and ranching experience, Dolly developed efficient ways to complete tasks. She took it upon herself to hold check-ins with her fellow crew members and make sure everyone’s voice was heard. When the work got tough, Dolly’s enthusiasm kept the group cohesive and encouraged. Dolly is now a student at Brigham Young University-Idaho, studying Exercise Physiology and Recreation Management. With the support of project sponsors at the USFS, she hopes to work with the Forest Service this coming summer. “Dolly was a dedicated, hardworking crew member… She was always eager to jump right in and get to work, no matter the project.” — James Helsley Recreation Technician, Helena-Lewis and Clark National Forest, Townsend Ranger District. Elamon White has demonstrated outstanding leadership and dedication to environmental stewardship and community engagement through her AmeriCorps terms with the Mt. Adams Institute VetsWork program. Her path to this program started when she enrolled in the Navy Reserve Officer Training Corps (ROTC) program in college. While training to become a Naval Officer, Elamon also studied marine science. While she enjoyed serving her country alongside “some of the best sailors she had ever met,” Elamon knew she wanted to pursue a career in conservation. 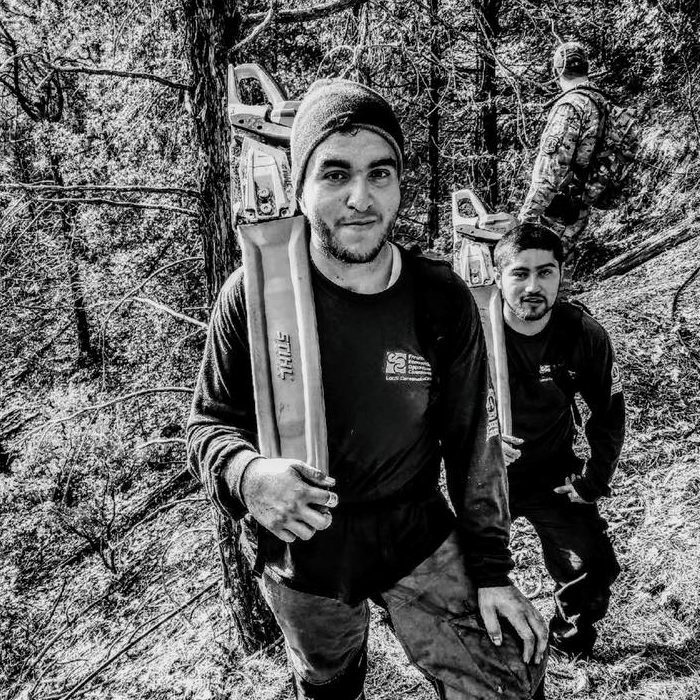 Through VetsWork, Elamon has served as a partnership and volunteer coordinator intern on the Andrew Pickens Ranger District of the Sumter National Forest in South Carolina. She established a detailed volunteer engagement tool, has strengthened relationships with the community, and created a system to track projects, all of which have proved very useful on a district that relies heavily on volunteer support. 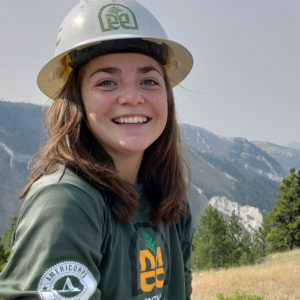 In addition, Elamon has been the Youth Conservation Corps (YCC) Crew Leader for her district for the past two summers, leading especially productive crews in projects including campground rehabilitation and trail reconstruction. Once she completes her second AmeriCorps term in January 2019, she hopes to transition to a neighboring district, where she is actively being pursued for a Resource Assistant position. 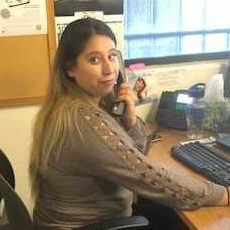 When she joined Sequoia Community Corps, Maria Corona had recently become the sole provider for herself and her two small children. Maria had previously taken a break from school to raise her family, but she now needed to start earning an income. She began her Corps training in the organization’s Energy Services call center, fielding questions and scheduling appointments. Maria worked hard and excelled. Her supervisor noticed her hard work and offered her an administrative position in charge of customer feedback and assisting site assessors. In addition to having a strong attendance record and an excellent work ethic, Maria is well-liked by her fellow Corpsmembers, who respect her dedication to her children and ability to always put family values above all else. Maria is a positive role model, taking her experience working in the community as a motivator to always be the first to sign up for volunteer activities. Maria is still deciding on her career path, but her new job skills have given her a sense of confidence and opened the possibility of getting a permanent position with the Corps. Her plan for the future is to go back to school to finish her associate’s degree. 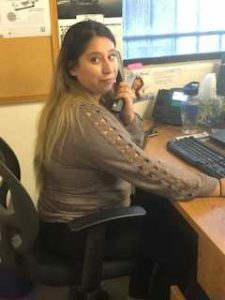 Paola is currently enrolled in Evergreen Community College, where she is putting her AmeriCorps Education Awards towards a degree in psychology. She hopes to pursue a career in social work. 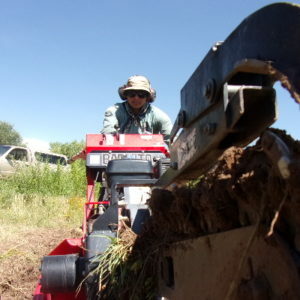 After previous experience with Rocky Mountain Youth Corps – New Mexico, Sheldon has been an exemplary Crew Leader with Southwest Conservation Corps’ Ancestral Lands program. Now in his third AmeriCorps term, he has shown a commitment to the success of the program, as well as sincere dedication to empowering Native American youth to make a positive impact on the land, their communities, and in their own lives. This year, Sheldon led some of the most successful crews for the Ancestral Lands program, consistently receiving high praise from partners for their accomplishments. Among other efforts, his crews worked on habitat restoration, trail maintenance, and community outreach and engagement. Their project in partnership with the Valle de Oro National Wildlife Refuge has helped to expand the Refuge’s definition of conservation and environmentalism to include the voices of people of color, people from low socio-economic backgrounds, and people whose voices have historically been excluded from the conservation narrative. Sheldon plans to stay with the Ancestral Lands program for a while longer to help create more opportunities for Native American youth. He hopes to one day start a Corps program out of the Kewa Pueblo. Part of David Kiliory’s assignment as an AmeriCorps VISTA through the Stewards Individual Placement Program was to build capacity for his host site, Shawnee State University Innovation Hub. He did this by writing and receiving a $2.78 million grant to fund renovations to the Innovation Hub’s facilities. This in turn will help expand technological innovation and creativity in the community. David is very loyal and committed to work that he starts and decided that he wanted to see this project through and stayed for an additional VISTA year with this program. David moved to Portsmouth without knowing anyone. Through his service, David made connections and quickly learned about his new community. Among other activities outside of his AmeriCorps service, David joined a local Toastmasters chapter, becoming the Vice President for Education, and most recently was nominated for the board of the local Main Street organization. Once David is done with his second term, he plans to stay in Portsmouth and hopes to continue working on his current project as a full-time staff member. Prior to enrolling at the Trapper Creek Job Corps Civilian Conservation Center, Levi White was homeless. He worked all through high school to help support his family, even walking great distances to get to and from his job after his car broke down. Job Corps offered the opportunity for a fresh start and Levi was motivated to leverage every resource the program offered. He enrolled in the Natural Resources Training Program and red-card certified as a wildland Firefighter Type 2 (FFT2). He became a member of the Trapper Creek Fire Crew and a member of the Trapper Creek Trails Crew. 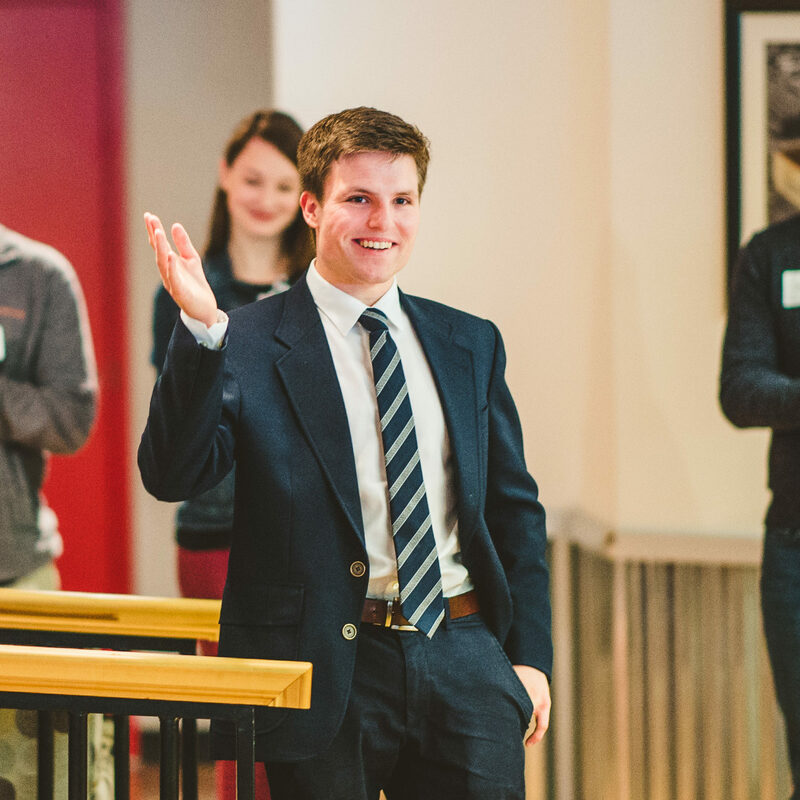 Levi also quickly found his footing as a student leader. On campus, Levi served as a student guide and helped ensure newly enrolled students had a support system to navigate the program. He also gave campus tours to several notable guests, including Senators and U.S. Representatives. 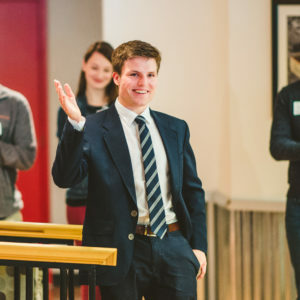 In addition to leading by example among his peers, Levi served as a role model to a younger generation by teaching conflict management and communication skills to middle school students through the Center’s Advanced Leadership program, or SUMMIT. Levi is open about using his own past challenges to relate to students. Levi is currently enrolled at Grafton Job Corps Center in the Human Service Worker Advanced Trade Program. Ultimately, he’d like to work to support those in ground level facilities, such as rehab centers, corrections facilities, and homeless shelters. Ruth started studying at Utah State University and felt like something was missing. 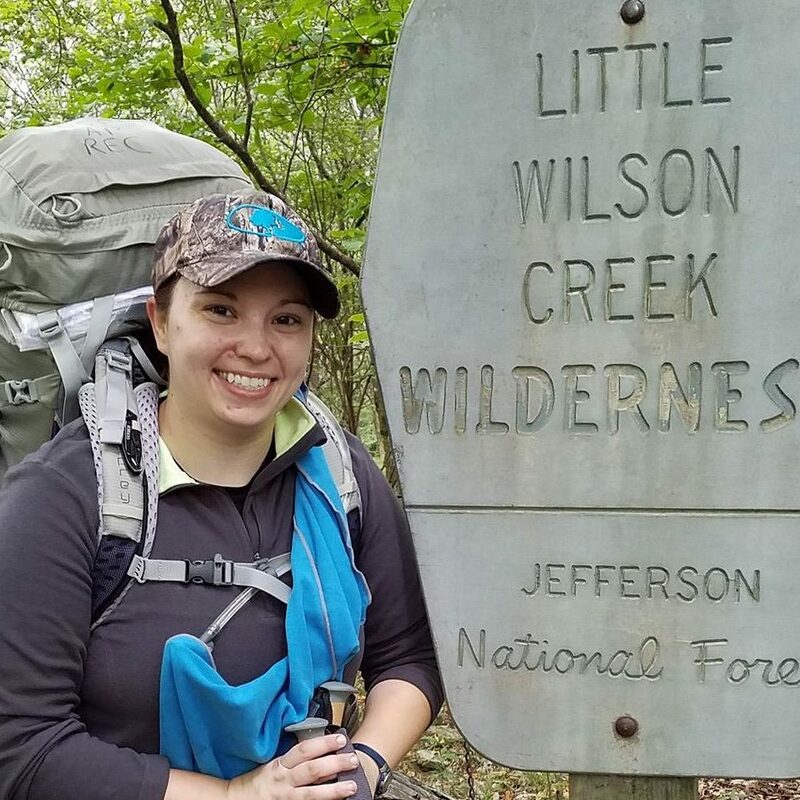 To complement her education, she has since done three AmeriCorps terms of service, completing physically strenuous natural resource conservation projects, as well as serving on campus to decrease the student body’s carbon footprint. 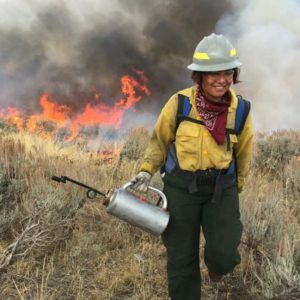 In addition to serving with Utah Conservation Corps, Ruth also served with Montana Conservation Corps on their Project of the Year-winning Women’s Fire Corps program. Ruth has served as a visible role model for diverse populations in natural resource conservation. 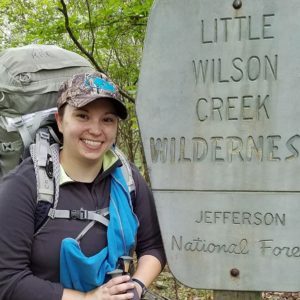 She is a competent and hard-working AmeriCorps member, and has also given extra effort to become a visible spokesperson for the UCC and the nationwide Corps movement. This was demonstrated by her summer 2017 meeting, interview, and photoshoot with former Secretary of Interior Sally Jewell at the Outdoor Retailer Show, which became a part of the Outdoor Industry Association’s Together We are A Force campaign. Outside the Corps, Ruth also provided leadership for the USU Center for Community Engagement (CCE) Alternative Spring Break service trip to Guatemala, ultimately earning CCE’s Outstanding Service Award for her commitment to engaging diverse populations in community projects. Once she finishes her third AmeriCorps term and completes her undergraduate degree in Philosophy this spring, Ruth hopes to attend graduate school. Over the summer, she plans to serve on a wildland fire crew. Monica joined Urban Corps of San Diego County at the beginning of this year, setting high goals for herself. Monica is a proud single mother and, after having to take a break from her education, she was determined to step out of her comfort zone to make changes in her life. 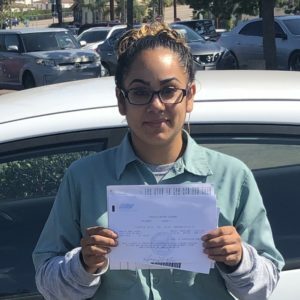 Through hard work, Monica was promoted to Crew Leader, obtained her driver’s license, and is currently studying for her Commercial Driver’s License. During her service, Monica has participated in a range of trainings and projects, including doing fire restoration work in Yosemite National Park. Monica is expected to graduate in December 2018 with her high school diploma. She is currently enrolled in the Corps’ Construction Apprenticeship Readiness Program and is scheduled to take her Electrician Apprenticeship test in January with the local chapter of the International Brotherhood of Electrical Workers. Once Monica gets in the apprenticeship program, she will be able to earn a high-paying salary and build a career while receiving free college credits. At age 24, Abdusalam’s Ibrahim’s life experiences have made him mature beyond his years. After his village in Sudan was invaded, Abdusalam and his family made their way to a refugee camp in Chad before eventually immigrating to the United States. Seeking to make his American dream come true, Abdusalam enrolled in the Weber Basin Job Corps, after first obtaining his high school diploma and certification in auto mechanics at Clearfield Job Corps Center. He graduated this September from Weber Basin Job Corps with a career technical training certificate in Office Administration and certification as a wildland Firefighter Type 2 (FFT2). 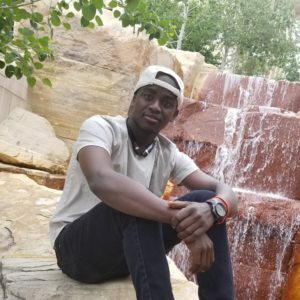 Abdusalam achieved his success and profited from his Job Corps experience by setting clear goals, using all resources available to advance to higher levels of education, practicing a strong work ethic, and remaining open to the feedback. 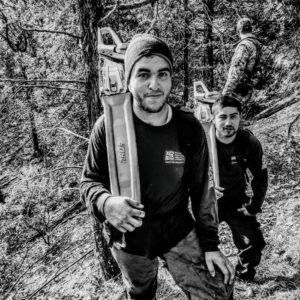 In addition to his work in the office, Abdusalam was repeatedly dispatched on wildland fire crews because those he worked with appreciated his motivation, tireless enthusiasm, and willingness to learn. Recently, Abdusalam was accepted into the rigorous Schenck Job Corps Advanced Wildland Fire Management Program. This aligns with his dream of becoming a wildland firefighter. In the future, he also hopes to volunteer at an immigration center to help other newcomers to America.